This month’s Audiobook of the Month is a little something different, because I’m featuring a short story! 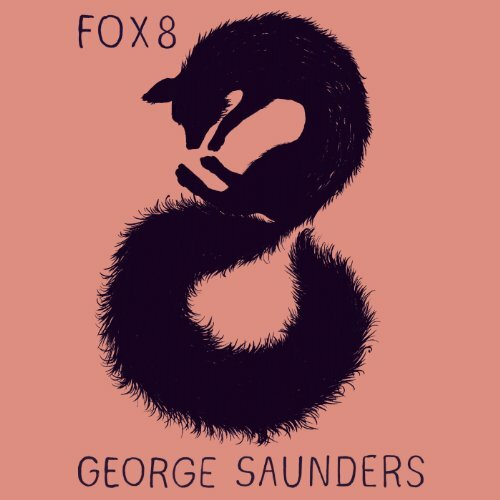 I listened to Fox 8 at the end of last year when I was trying to fit in a few more books. I didn’t know too much about it other than that a fox was the main character and the audiobook was only 37 minutes long. But it ended up being really impactful. Fox 8 is a great story about the impact humans have on the animals we share the planet with. I loved that it was told from the perspective of a fox, because it made to so easy to sympathize with the animals. I thought it was such an interesting take on how the actions of people affect other living things. I thought the audiobook was a particularly great format for this story because it is told from the perspective of a fox with a limited understanding of the English language (he’s learning, okay?). I did read a bit of the ebook later, and it was also clear that Fox 8 didn’t know how to spell (i.e. “niser” instead of “nicer”). While that does add a different dimension to the story, I do think that would make it more difficult to read, at least for me. I don’t think it would take away from the story, per se, but it might be distracting. And, personally, I really enjoyed this story on its own. If you want a quick read that also feels important, I would definitely recommend Fox 8. Have half an hour? Try listening to the audiobook while you do the dishes or drive to work. Trust me, this one is worth it.